Dr. Cassady is a longtime staple in your orthodontic care community in Carmel and Pacific Grove, CA. Our practice's top priority is to provide you the highest quality orthodontic care in a friendly, comfortable environment. We utilize the latest technological advances in the industry, such as invisible ceramic braces and Invisalign®, along with the latest in computer technology (digital imaging and advanced computer graphics) to ensure that you receive the most effective care possible. Please contact our practice and schedule your complimentary orthodontic exam and consultation with Dr. Cassady. We look forward to working with you and your family, and sharing in all the excitement and joy of having a beautiful new smile. 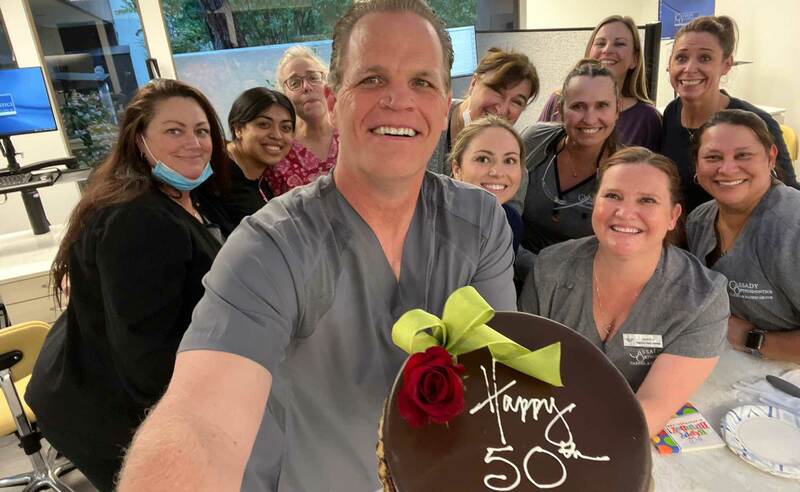 What Makes Cassady Orthodontics Special? Providing family-friendly care for adults, teens, and children, Dr. Cassady believes that everybody deserves the opportunity to have a beautiful smile. Dr. Cassady specializes in orthodontics, providing patients with a variety of customized treatment options. Serving Carmel, Pacific Grove, Monterey, CA - Dr. Chad Cassady is your orthodontic specialist, offering Invisalign and braces for children, teens, and adults.